Waste water treatment aims to purify waste water, which is water that has been contaminated with residual substances from the production of factory activities. 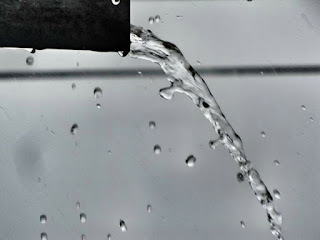 Water processing results can be used for two purposes. Typically for large plants, waste water treatment center was made so that the waste generated becoming safer for disposal and not damage the environment or harm living creatures around, including us as humans. Waste water treatment system is a complex process includes distribution, wastewater collection and treatment system complete with automated process control mechanisms to improve the energy efficiency of the field to the company. 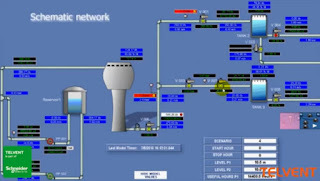 To run this automatic control functions, StruxureWare SCADA Application Expert offers the integration of software and hardware to ensure best-in-class interoperability, scalable solutions, flexibility; and access real-time data from the field to the wastewater treatment plant. Fast data transfer process will speed up decision-making. StruxureWare application allows you to control the total cost of waste management and ensure safe and reliable operation across the wide area network to maximize asset productivity and operational efficiency. If the application is run with both the user could improve operational efficiency by up to 25%, reducing energy consumption by 30%, reduce total cost of ownership up to 20%. This will support the process control, operate, and optimize water and wastewater infrastructure of the field to the company can be run properly. However, there are several challenges in using this application example, need further analysis on how to supply clean water through old infrastructure without increasing the cost of making a positive impact on the environment and financial performance. It need special methods to manage water scarcity associated with growing urbanization and climate change StruxureWare when the application is run. Schneider Electric as a manufacturer produce device that has a full support and services to improve operational performance and optimize energy efficiency and process control throughout your company. Systems 'plug and play' design ensures easy application will be used for all software, hardware, or all of your system without having to start from scratch. StruxureWare application has strong visualization capability that is integrated with software and hardware support and many SCADA control system optimized for managing remote assets are spread across the company's infrastructure. The control system is relatively safe, easy to use and reliable. With Ethernet connection for remote applications enable operators to respond quickly to process disturbances occur that can increase the effectiveness of their work. 802.3 standard by the IEEE is the most widely used local area network (LAN) technology Ethernet. Its method is used to connect computers in a waste water management company as well as to connect a single computer to a modem for connection access. Making the smart home based SCADA aims to enable people to confront problems such as the current setting e.g. security and energy use. Security is a matter to be considered by everyone as the crime rate increases. Saving energy consumption is also important for future life. The United Emirates Arab (UAE) has been playing for the significant role in promoting the use of industrial automation system that increases the productivity and profitability in certain company. The emergence of some industrial automation system companies in UAE is considered as the result of the development of the technology in the world so that some big companies have implemented such automated system in manufacturing the goods due to its advantages. Below are some of the five big industrial automation companies in UAE that contributes to the development of automation system in the world. 1. Metro MacMetro Mac is one of the industrial automation system companies based in UAE that engages with marine, oil and gas and power and utility industries. Established in 1985, Metro Mac has been providing the solutions and supports towards the industrial companies to answer the challenging problem dealing with industrial automation. This company also provides the better service in relating with calibration of the automated systems that use the international standards such as UKAS, NKO and NIST. 2. ODASCO Automation System LLCBased in Dubai, ODASCO Automation System LLC belongs to one of the industrial automation system companies that focuses on various fields such as water, oil, gas and many other industries that implement the automated system in manufacturing. This company also dedicates itself to serve the customers with the competitive prices and maximum efficiency in automation system and has some branches spread throughout UAE. 3. ANG Automation Solutions FZCOIn addition to some of the mentioned automation industries above, ANG Automation Solutions FZCO also becomes the industrial automation system companies that has been long experienced in dealing with water, waste water and oil and gas industries, as well. Based in Dubai, this automation company engages with the installation, integration, design, etc towards the industrial system. Besides, this company is also supported with some experienced staffs and professionals that have been engaging with many sophisticated automation systems produced by some outstanding companies such as Rockwell, Siemens and so on. 4. Ace Automation LCCBased in Dubai, Ace Automation LCC is one of the industrial automation system companies that specialize in hydraulic power packs. This company offers some products that will be integrated with the automation in hydraulic powers such as valves, filter system, accumulators and many more. Like many automation industries, Ace Automation LCC also provides the consultation, installation and maintenance either on location or in workplace. Apart form India, The United Emirates Arab is also the headquarters of many industrial automation system companies that contributes to the development of automation system in some industrial companies. Some of the industrial automation system companies mentioned above have their own features in products and services. The implementation of the automation systems in company is expected to reduce the human error, tax, and operating costs. 1. If you are dealing with a corrosive fluid, choose the valve body and trim material to match the pump casing and impeller. 2. Velocity is the key to handling abrasive materials. Normal city water velocity is about 7 to 10 F.P.S. (clean liquid). If you have a fluid that is abrasive, keep the velocity as low as possible – without having the particles drop out of suspension. 3. Always sense pressure where you want to control it. Many control valves and pressure regulators do not function properly simply because they are sensing pressure at one point and being asked to control it somewhere else. 4. Velocity is the key to handling noise. Noise is energy. When dealing with high pressure drop situations try always to keep the velocities below 0.3 mach. on the inlet pipe, valve body, and outlet pipe. 5. If you use a transducer in a control loop, specify a positioner on the valve. Otherwise the transducer will rob the actuator of available thrust, and the valve will leak when it is supposed to shut off. 6. In cavitating fluids – even if the control valve has cavitation trim in it – be sure to allow a straight run of downstream pipe after the valve. If there is a pipe “T”or elbow immediately downstream, the flow will choke out and back up into the valve. 7. If you use a control valve with a bellows seal in it, try to size the valve so that its normal throttling position is near the bellows “at rest” position. This will minimize wear on the bellows. 8. Don’t use a valve below 10% of flow if at all possible. Even though a valve may have good rangeability, if the valve is used in an abrasive or erosive service (steam), it will not hold up unless it has hardened trim. 9. If a PLC is being used to control the valves in a system, specify the valves with a linear flow characteristic. 10. If a control valve is started up and fails to respond – or goes to full open or full closed and stays there – check the controller and reverse the controller’s action. a) Disconnect the positioner or controller input. b) If the valve has a hand wheel, check to see that it is backed out. c) Check to see if the bench range is correct. 2. Next check the positioner. 3. Next check the controller.Do not rely on the control room to generate signals. Generate your own with equipment that you know isproperly calibrated. Do not assume anything.Remember that control valves only do what you tell them to. 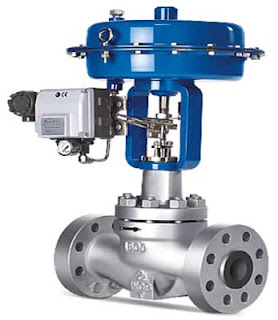 Many control valve problems turn out to be aproblem somewhere else. When you visit an industrial company, you will see how the machines work automatically with single touch. It can be said that such industry uses application of programmable logic controller to control the all the equipments involved in industrial process. 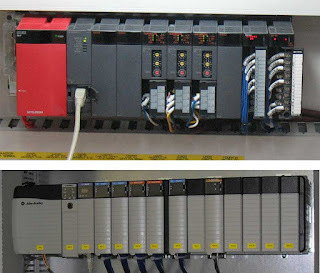 PLC stands for Programmable Logic Controller is a certain computer device that offers the operator with some exceptional features such as sequence controllers like timers and counters. Surprisingly, the application of programmable logic controller is not only used in industrial company, but also in some home utensils such as washing machines, traffic signs or elevators. The widely used of this control system leads some of the manufacturers launch different type of PLC in the market. The application of programmable logic controller helps the operator to monitor the work of the machines through the sensors integrated in the system. PLC itself consists of three modules like CPU module, power supply module and I/O module. In everyday we always use the sophisticated equipment for all of our activity. Actually those all as the types of latest technology in industrial automation. It is clear because the technology is always developing with the era. But we almost do not aware about it. We just use the equipment without knowing the development technology that is supported by the great of industrial automation. 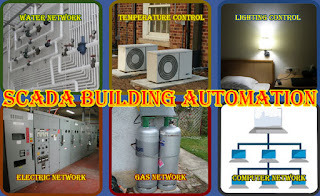 The industrial automation have already accompanied the development of the technology until now on. 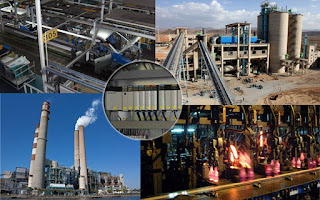 There are many types of the latest technology in industrial automation. It may be seen from the component that are more sophisticated and also from the physical performance. Because as we know that many brands of the equipment appeared for showing their best product. They release then product with the new specification. In the other hand, they release the same product with sophisticated specification. Latest technology in industrial automationActually, the latest technology in industrial automation supported by the best design, the great energy, and many more. Those will make the users easier to use. This is the one of the latest technology of the industrial automation. This technology is being the static technology that the function is to make the information delivered more fixed. This technology contains of some sophisticated component that will make the deep automation process. RFID is being the revolutionary technology that makes the best transformation process for the machine. So that the work the equipment is being dynamic by adding some great steps. Beside, this technology also create the complete information function for supporting the machine. The availability of the both latest technology in industrial automation itself create the best advantages. They area low consumption of the energy, new machine view, and safer machinery system.Then the new machine include in the new technology of the industrial automation is very dominant. Because the availability of the machine will influence the performa of the technology.Then the best technology is the safety technology. It is important because it will make the users feels comfortable in using the machine. So we can say that the safety factor is very important to make the latest technology in industrial automation is becoming the best product for the users. Latest technology in industrial automation have already existed in our daily activity. 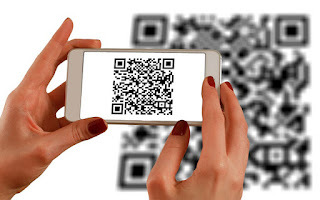 It is great and also make the development of the technology becomes better. The process of setting and installation of control systems with PLC requires process steps must be followed by determining the procedure of commissioning and testing system. This commissioning and testing of the system determine the specifications readings and operating module analog I / O in the PLC to operate PLC as industrial automation control system. Please ensure to what system I / O Analog to be used and consists of an analog input signal, analog input data representation, principles of analog input readings, and Analog Input Connection. This process including PLC communication system, Area Memory, supporting instruction, Component Network, and Controller Area Network. Check the hardware is the first stage of the commissioning process that was done by ensuring each sensor, switches and buttons are connected to a particular input and each actuator to output. Make sure that when the process of commissioning the process address and cables should not be mixed. In addition to the sensors and actuators must be in the proper automated system. Before starting the commissioning process make sure the output is set in the test mode while the actuator must function properly and if there are changes, the documentation (register allocation, pictures, etc.) must also be updated so that the commissioning process can run well. The next stage is to make sure to check the hardware input device, for example switch should be on the contacts open and closed conditions and the corresponding LED on the module inputs are observed. If there is a failure the LED is not lit check back improper cable connections to the input module, the input device is not supported properly or input module LED or damaged, make sure the push button has been installed so that each output can be tested. Check process controller program can use virtual testing tools for example, assays in STEP 7 as subprogram S7-PLCSIM to find error program. 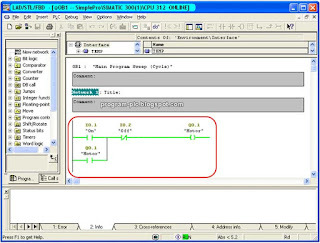 The program is able to simulate the work of the PLC (virtual PLC) and allows the user to write a PLC program to be tested prior to commissioning. Make sure all devices are at the off-line. An important stage test of this program is to simulate changes in the input signal and verify how the outputs react to it. 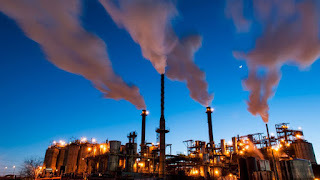 One method that is used directly is the entire program executed in the PLC without any real input and output are connected. The output data for the PLC must be done properly with the support of the physical PLC I / Os so that it can eliminate the risk of damaging the machine or parts of the system. After check transfer process and ensure the software runs smoothly the next commissioning process is optimization software. It aims to ensure the program can always be improved after the first test run. Any corrections or modifications are made not only in the PLC user program, but also taken into account in the documentation to facilitate the next stage of the commissioning process. This stage is the final circuit testing and optimization of the system control program. Users are advised to do the documentation of all functions of the controller (in accordance with task automation) that has been carried out step-by-step until the final status of the PLC user program is established. Before handing over control to the customer's system, the personal commissioning must ensure no errors occur by the entire system commissioning. In order to believe that the design of control systems in industrial automation are completely safe to be operated, then the required inspection and testing or called Testing and Commissioning. This process is a series of inspection activities and testing of control systems that have been completed and going to be operated. With the results of inspection and testing is good, it is believed that the design of safety systems at the time of operation. The above procedure should be run with the discipline to produce a control system that has high performance. For this time a lot of people interpret that the same automated system with robot. Whereas between in this systems have difference, have difference between automatic and robotics. Automatic can be defined as a technology that is based on the application of mechanical systems, electronics and computers. Automatic fixed, made only for the purpose of production of services can't be used for other products. Suitable for mass production at a high speed. Investments issued the first time are usually high, but the operational costs are relatively low. Automatic semi-permanent, machine made to produce or handle one type of product or task, but in some parameters can be arranged on a limited basis. Robotic From these ways we will see that difference between automatic and robotics. 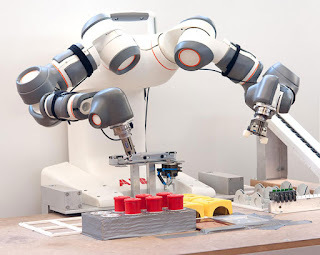 Industrial robots are robotic hand that has two arms, and wrist. The difference between automatic and robotics, robotics In the light of the movement consists of three main movements, the robot body that can rotate left and right, and circle motion according spreader tool properties. Manipulator, mechanical parts that can be used for moving, lifting and manipulating the work piece. Sensor, Component-based instrumentation that serves as a conduit of information about the circumstances or the position of the parts manipulator. From the above explanation we can see that the difference between automatic and robotics have in the system. Owned system between automatic and robotic is different. So, it depend on you to choose between automatic and robotics. 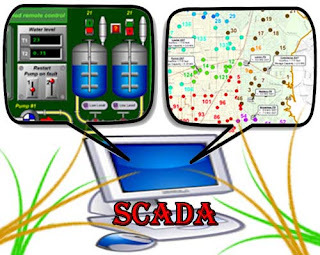 SCADA software has a function as a liaison between the HMI (Human Machine Interface) and MTU (Master Terminal Unit). As one part of the system architecture scada, scada software for these 2 types of program differences, namely: proprietary to communicate with hardware devices sold as' turn key 'or open solutions that have the ability to mix different equipment manufacturers' on the same system. The user interface is the interface used by the user such as a keyboard, mouse, trackball, touch screen. It bridges for operators to understand the processes that occur in the machine. Without user interface, the operator will have difficulty in supervising and controlling the machine. Provide a graphical display of process variables such as pop-up trend display, Trend gridlines or profiles, Background trend graphics and Real-time multi-pen trending. It also can be used to view and apply the settings (adjust) all setpoint of the control system. All data can be exported to DBF, and CSV files. RTU can acquire digital input, digital outputs, analog inputs, and analog output on a demand basis instead of the conventional predefined scan method. RTU must have a port Redundant communication capable, DDE drivers supported and interface also possible for RTUs, loop controllers, bar code readers and other equipment. It also must equipped with dummy breaker which serves to simulate remote control. SCADA software serve easy access to third-party access to real-time data directly, real-time access to data by any network user. It was compatibe and supported by DDE compatibility: read, write and exec and DDE to all IO device points. This SCADA software was supported by ODBC driver and Direct SQL commands or high level reporting. The program can run in a network, whether on the LAN or internet. To make faster delivering data process, this software supports all NetBIOS compatible networks such as NetWare, LAN Manager, protocols NetBEUI, IPX/SPX, TCP/IP and more and can be operate on Windows for Workgroups, Windows NT (changed from existing). Program have a certain tolerance for mistakes. 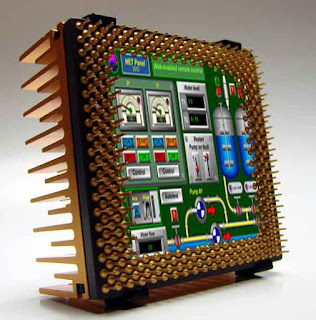 SCADA system should be redundant, which is currently the main Master Terminal Unit (MTU). If MTU down to be replaced by the backup. It has dual networks for full LAN redundancy which is applied to specific hardware, supports primary and secondary equipment configurations and no configuration required. Client / Server Distributed processing means that data processing is distributed, where the server or client has its own processing portion. To design and make a good control system, there are some things that must be considered one of them is the right architectural design which includes: User familiarity, Consistency, Minimal surprise, Recoverability, User diversity. SCADA Software for the development phase, it - the following should be noted: Phase needs analysis, conceptual design phase, phase of logical design, physical design phase, development phase, the evaluation phase. When people do not use supervisory control data acquisition system; control equipment that spread over a bigger geographic area demands that key control points need to be staffed around the clock. It is mainly because of the need to make timely adjustments to the distribution system. This problem can be solved with the help of a SCADA system because it offers better control of the remote facilities from a central control facility. When the number of customers increases, the number of field control actions needed to maintain the system stability also increases and quite naturally, the distribution system operations become more complex. In such a situation, the number of employees needed to perform these actions needs to be increased as well. Since there is no centralized supervision available, corrective actions in one location can worsen the condition in an interconnected area during emergency situations. The supervisory control and data acquisition system offers real-time access to all points from a central control facility and the need for appointing on-site crews can be avoided easily. These systems allow the real-time monitoring of many distant sites and the associated data can be immediately logged as well. It overcomes the limitations of the pre-automation process and polling each data many times in an hour becomes a hassle free process. The graphic schematics of the entire system including real-time physical data can be accessed using SCADA systems and the operator can easily notice the effect of a regional upset on the operation of the system as a whole. Then, it becomes easy for the operator to decide the most suitable countermeasures. This system produces an audible alarm when the operating parameter goes beyond a preset range and the alarm can also be heard even when the data is not received. It helps the operator to identify a problem early and he/she can take the necessary steps to correct the issue. In normal circumstances, a problem can be handled from the Control center itself without sending any personnel to the site. It can be said without an iota of doubt that SCADA has redefined the concept of managing industrial processes in many ways. It offers a wide range of amazing benefits and this system increases the operational efficiency in the best possible manner. Businesses do not need to worry about appointing personnel at different sites or sending them to the site every time when there is a problem to deal with. Reduced personnel requirements lead to reduced costs and it results in decreased operational costs as well. we are here to help you !!! !